You probably remember the first time you went to the dentist. It was most likely scary as you experienced the bright lights, strange tastes, and loud noises for the first time. As you began visiting the dentist regularly, you became more comfortable being in the dental chair. For a child with autism, sensory issues make it more difficult for them to become comfortable. Luckily, knowing what to expect when taking your child to the dentist can help to both of you prepare for their visit. I have been practicing family dentistry for 17 years and know how important it is for your child to have a positive experience at the dentist office. That’s why I have come up with a list of what you can expect when taking your child to the dentist, and how to prepare to make it a positive experience. One thing to expect to experience is nerves. They are very common amongst children and your child is likely to have some before their first dental visit. Don’t worry too much though because there are many ways to work to overcome these nerves your child may be feeling and avoid other issues at the dentist. Practicing at home is one great way to begin working through any nervous feelings. Use visuals like storybooks and videos as well as role-playing dental visits to give your child an idea of what a dental visit is like. 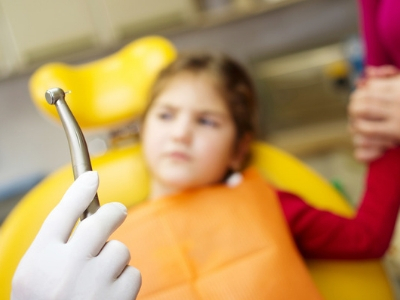 Remember that there are many ways to work through your child’s possible fear of the dentist so find what works best. Do what you can to make going to the dentist a positive experience for your child. Your dentist will be right there beside you helping you along the way. Another thing you can expect when going to the dentist is meeting new people. You will quickly be getting to know the office and staff members at your dental clinic. Going to the dentist gives you and your child an amazing opportunity to establish a positive relationship between you and the staff at your dental office. They will be working closely with your child so having this relationship is important. As you meet new people, your child may still be feeling weary. If this is so, ask your dentist to set up a familiarization appointment ahead of time for your child to visit the dental office. This will give them the chance to meet the office and staff before any work is done. They can also see what the office looks like which will make it more familiar when your child comes back for their appointment. The staff members at your dental office are going to work to make your child’s experience as comfortable as they can. Ask any questions you may have regarding your child’s appointment and let them know ahead of time any special accommodations you’d like to be made. These can include things such as specific toothpaste flavors or reducing waiting room time. Think of you, your child, and your dentist as a team. Teamwork is the best way for your child to have the most positive experience at future dental visits and dental procedures. Be prepared for your child’s first visit to be the most difficult, but don’t let it discourage you. As you begin visiting the dentist more often, you will begin to understand your child’s sensory difficulties as you visit the dentist more. This will help you figure out how to improve their dental experience. It will be trial and error but enjoy the learning process. One thing that many patients with special needs benefit from is working with the same staff each time. As mentioned before, establishing that relationship with office and staff members will be beneficial in the long run. Your child will be more willing to visit the dentist if they can be around people they are familiar with. It will help ease any anxieties your child may have previously had and make for great and positive dental visits. You probably remember feeling somewhat scared at your first dental visit. It’s very common that people experience nerves when they visit the dentist. However, children with autism often have more difficulties when it comes to visiting the dentist as sensory issues may make them feel uncomfortable. If you can know what to expect, you can work to prepare for your child’s appointment and face their fears. Be sure to keep conversations around the dentist positive and encouraging and embrace learning about dental care with your child. For more information on taking your special needs child to the dentist, visit Dentably.com. Dr. Greg Grillo was born and raised in Washington state. Dr. Grillo spent eight years at the University of Washington and received a bachelor’s degree with honors before attending the School of Dentistry on the same campus. From there he was selected for a Health Professions Scholarship by the United States Navy where he served as a dental officer for four years. Dr. Grillo has continued his practice in North Central Washington for more than 17 years, balancing his clinical practice with a role as the Content Director at a rapidly growing dental software company and freelance dental copywriting. He especially enjoys caring for growing families in his practice and remains passionate about incorporating new technologies into his work that enhance the patient experience. Dr. Grillo continues to take numerous continuing education courses on all aspects of dentistry and is also involved in a variety of community activities in the Omak area outside of his work. Read more at Dentably.com. Dr. Greg Grillo was born and raised in Washington state. Dr. Grillo spent eight years at the University of Washington and received a bachelor’s degree with honors before attending the School of Dentistry on the same campus. From there he was selected for a Health Professions Scholarship by the United States Navy where he served as a dental officer for four years. Dr. Grillo has continued his practice in North Central Washington for more than 17 years, balancing his clinical practice with a role as the Content Director at a rapidly growing dental software company and freelance dental copywriting. He especially enjoys caring for growing families in his practice and remains passionate about incorporating new technologies into his work that enhance the patient experience. 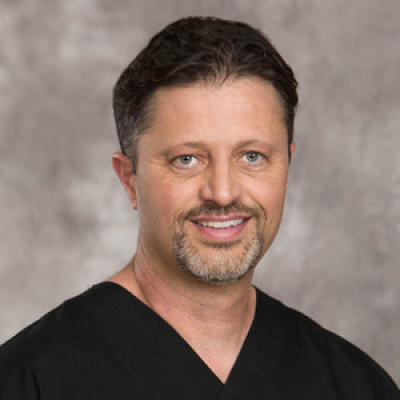 Dr. Grillo continues to take numerous continuing education courses on all aspects of dentistry and is also involved in a variety of community activities in the Omak area outside of his work. Read more at Dentably.com.